Our highly rated ExpertEase, will continue in the 2019 software and includes all 4 seasons making it a year round benefit. Please note that this feature is ONLY available to users who maintain the current version of the Hurrtrak software. In order to continue receiving these updates, you need to upgrade to the 2019 software. For those less familiar with the feature, ExpertEase is a superior tool in your data arsenal. On a daily basis via video update, our chief meteorologist discusses current tropical (and now also non-tropical) conditions as well as what is likely to occur in the near term. These observations are integrated within the Hurrtrak program throughout the Atlantic Hurricane season and also available via a web browser. 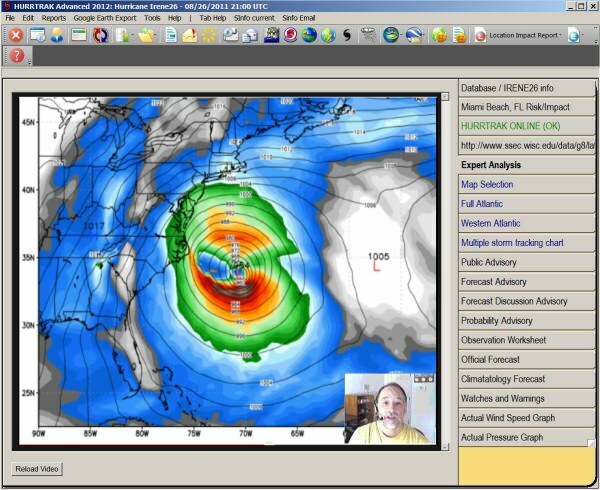 Unique to PC Weather Product’s portfolio, ExpertEase gives you “inside” knowledge of the factors and conditions affecting the path and strength of active tropical storms as well as the details on winter storms and spring severe weather. Remember, it is available to all users with current Hurrtrak software installed. To view some examples, check out the following videos. The following video remains a good way to see what this feature is all about. Keep in mind we have expanded this to include Winter and Spring Weather.